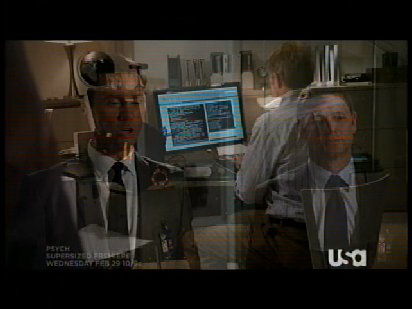 Filming for this episode took place from 03/21/2011 thru 03/29/2011. 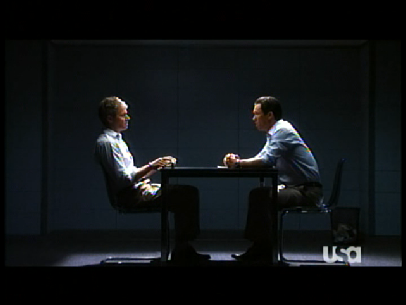 This episode starts season 5. 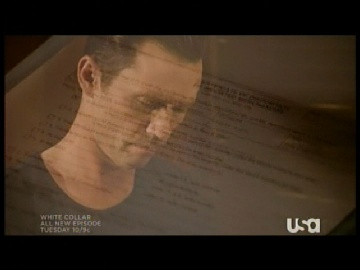 In the Burn Notice time line it is 6 months after we saw Michael arrive in Washington at the end of season 4. This episode starts with Michael arriving at the Canadian Security Intelligence Service in Ottawa Canada to capture Hector Oaks. As we see him walking inside the building, they intercut flashes of clearly reused Burn Notice footage that is now re purposed to be Michael going after spies as opposed to how we originally saw it earlier in the series. They also use stock file footage to show that Michael has been busy cleaning up the ring that had him burned. 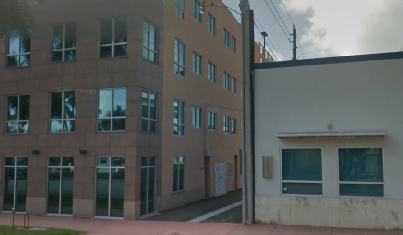 The building we now see him inside of has been reported on the USA Network web site to be the same building we saw used in the first episode of season 2, Breaking and Entering. 5th Street at Michigan Avenue. I will have to go there to confirm that this is the interior that they used. Then we see them leaving the building. 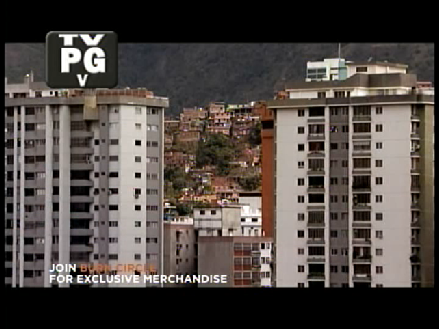 This was filmed on the west side of the building. They head south down the alley. 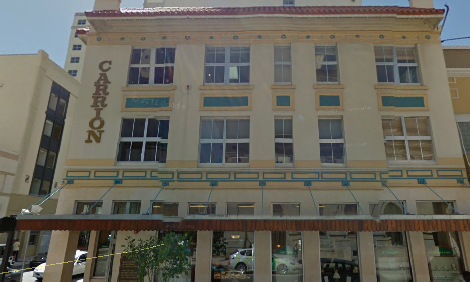 Since they did film the exterior here on location it makes it very likely that this was also where they filmed the interior. The interior of the emergency vehicle was likely filmed at the studio. Act 1 opens with Michael having arrived home and Fiona is happy to see him. Filmed on set at the studio. 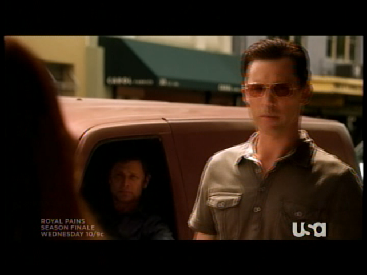 Next Michael goes to his mother’s house where she is happy to see him in a different way. Filmed on set at the studio. 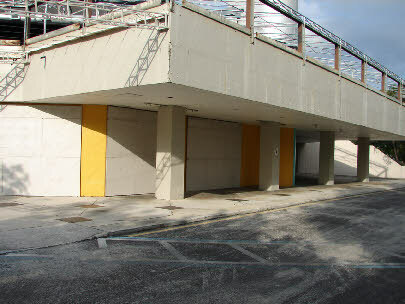 Sam and Michael move to the garage, also a set where he is reunited with his car and Jesse. Michael gets called to Washington. Then we see some old footage of a jet taking off. Location unknown. 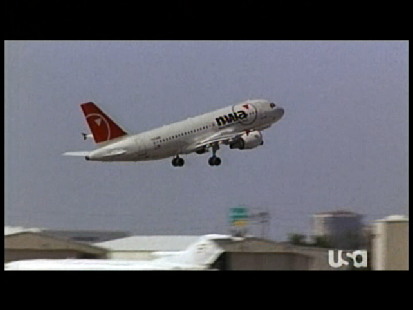 We know this is old footage because the jet is a North West Airlines jet. They merged with Delta starting in 2008 and by the end of 2009 most of North West Airlines planes had been painted. 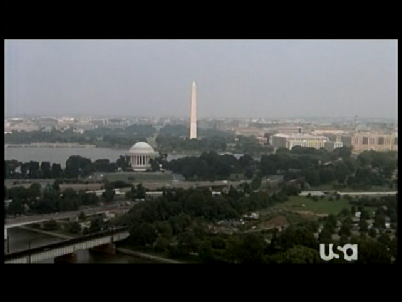 Then we see an establishing shot of Washington D.C.
Then we see Michael inside what is suppose to be the Central Intelligence Agency in McLean, Virginia. 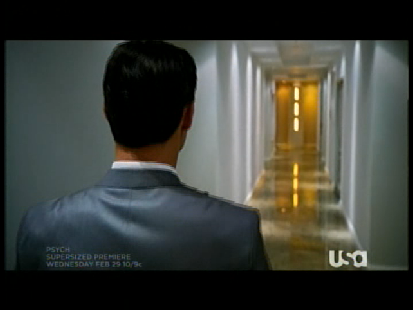 No doubt this was filmed inside the Coconut Grove Convention Center Studio but I have not confirmed this yet. 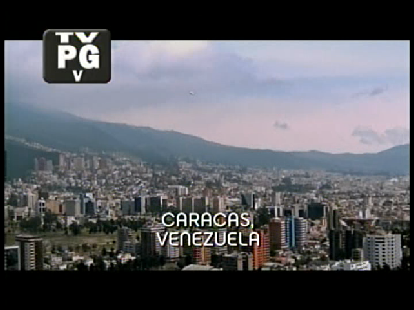 There, Michael gets Hector to reveal that Kessler is in Caracas, Venezuela. 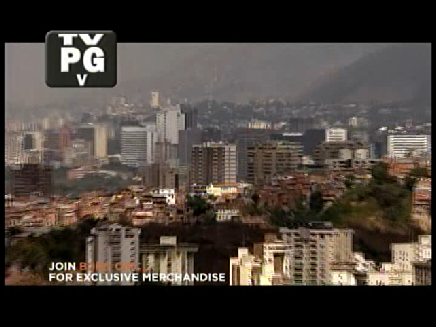 Then we see an establishing shot of what is suppose to be Caracas. Location unknown. 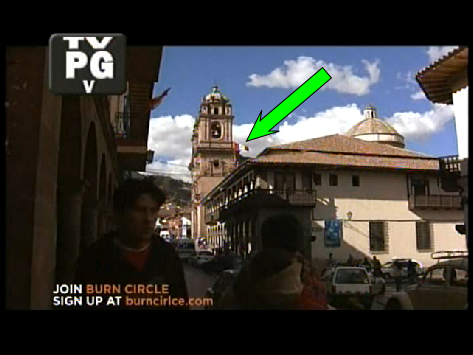 This footage appears to be from Peru based on the flag seen in the capture below. 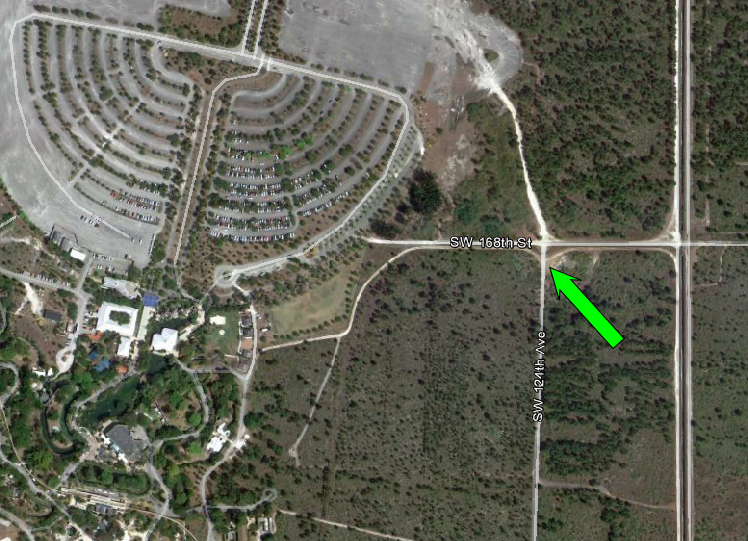 The location can definitely be found but since it is clearly not Florida I have not yet taken the time to track it down. 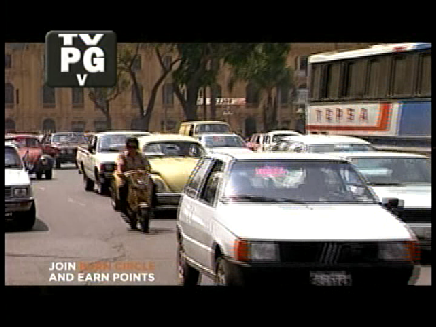 Then we see that Michael, Fiona, and Sam have arrived on the streets of Caracas. 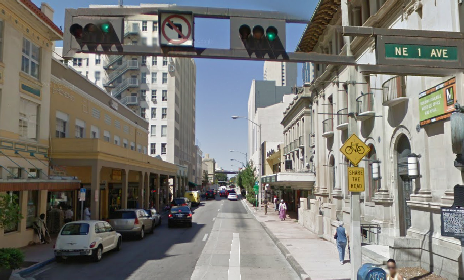 In reality they are on the streets of Downtown Miami. 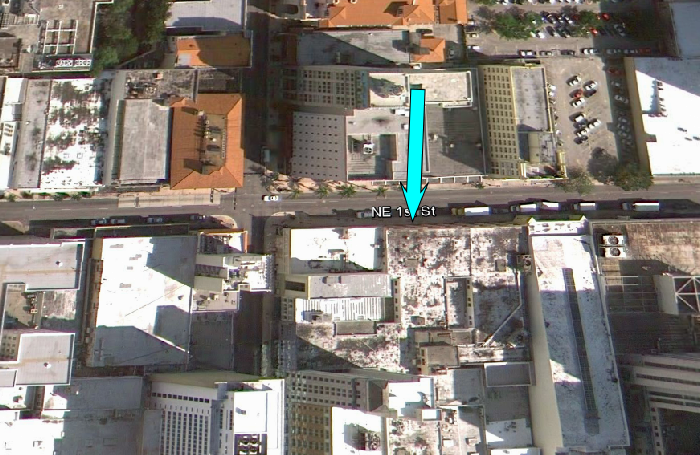 They are walking eastbound on the north side of NE 1st Street approaching NE 1st Avenue. 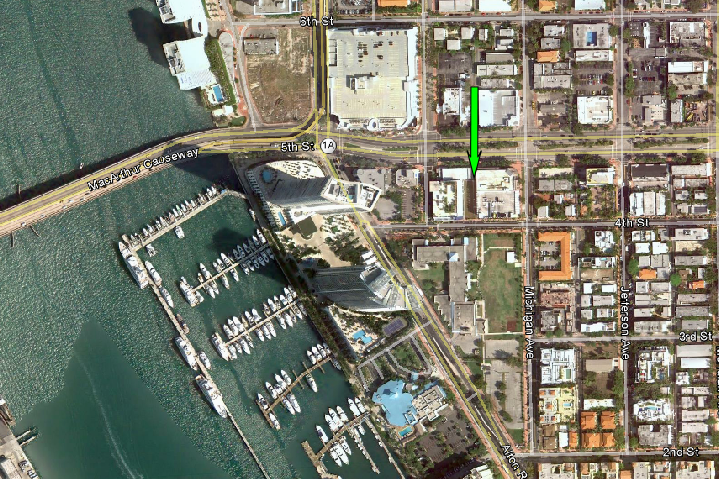 This location is historically significant as the high water mark of the great Miami hurricane of 1926. 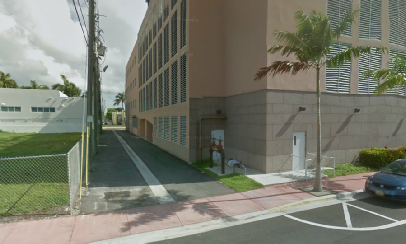 The building in the background left (Seybold) gained fame in the Miami Vice episode, The Maze. 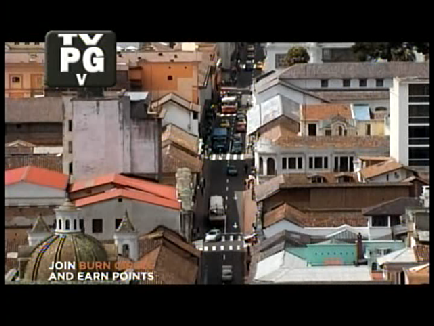 Where it played a major role in the teaser of that episode. 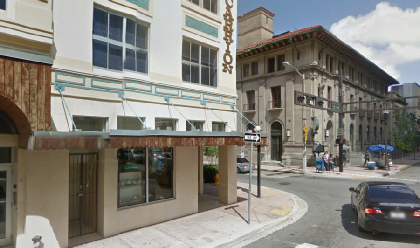 Then they arrive at their hotel, the Hotel Quijote. Foreshadowing that they are tilting at windmills. 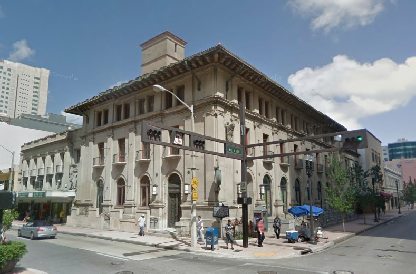 In reality this is the old post office on NE 1 Street at NE 1st Avenue. 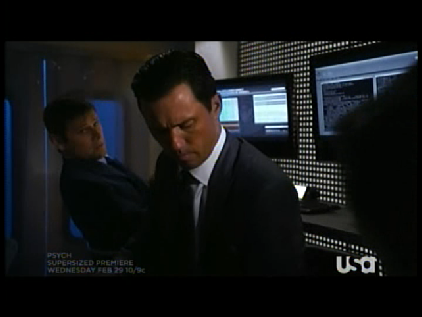 Then we see them enter their room. 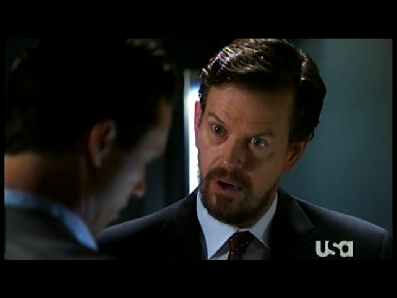 I believe this was filmed on location on the second floor of the old post office though I have not confirmed this yet. 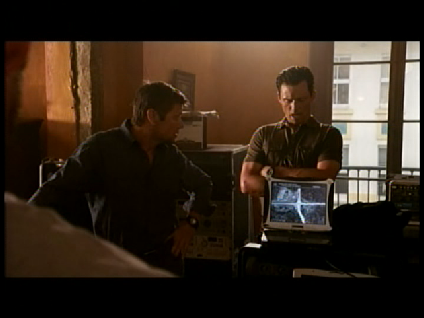 The lighting coming thru the windows makes it look like a set at the studio but with Burn Notice’s track record of horrible lighting it may have just been dark out and they did not know how to properly set up the exterior lighting. I will go there to confirm that this was filmed on location. 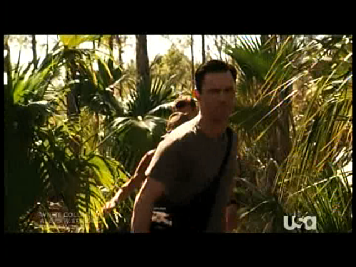 Then we see Sam, Fiona, and Michael in the woods near the check point. 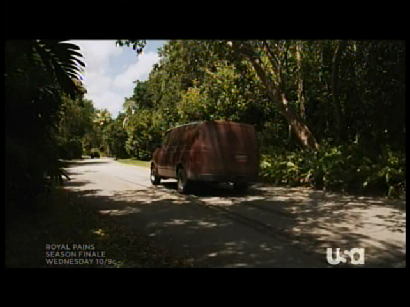 According to the USA Network’s Burn Notes on their web site, this was filmed at Zoo Miami, 12400 SW 152nd Street, Miami. 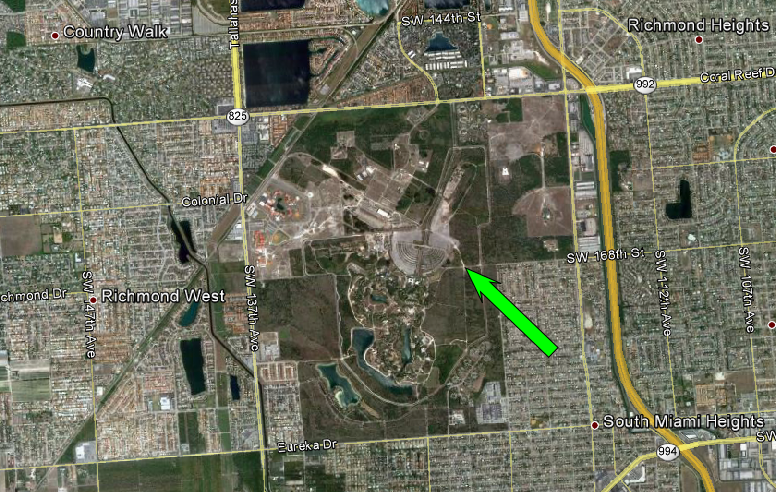 After searching via satellite photography I am 99% sure that this was filmed on SW 124th Avenue just south of SW 168th Street. I will have to go there in person to confirm this 100%..
Then we see Michael in the hotel room preparing. I believe this was a set at the studio but I have not confirmed that yet. 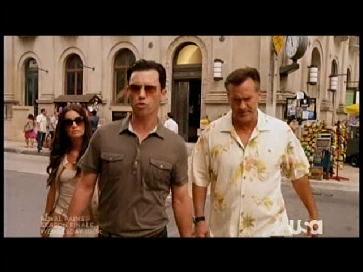 Then we return to the check point at the Zoo Miami where the gang goes into action. 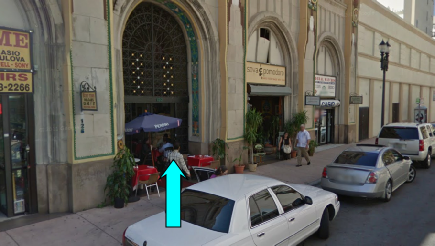 Then we see Michael waiting inside a cafe. 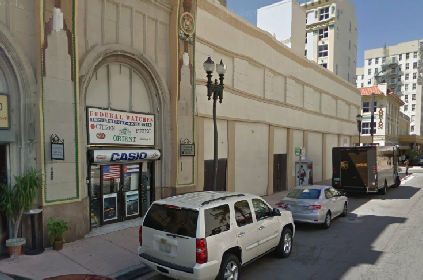 This was filmed in Downtown Miami at 122 NE 1st Street. Then we see Armando arrive. 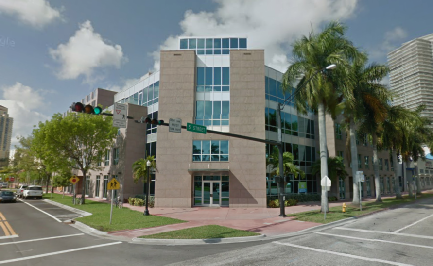 He walks from the west and joins Michael inside 122 NE 1st Street. 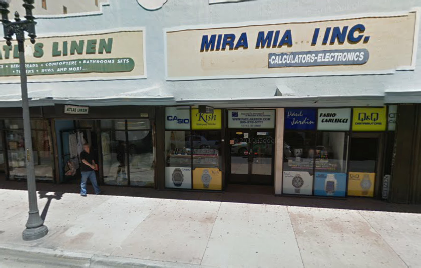 The Kish sign at Look Miami can be seen in the background. 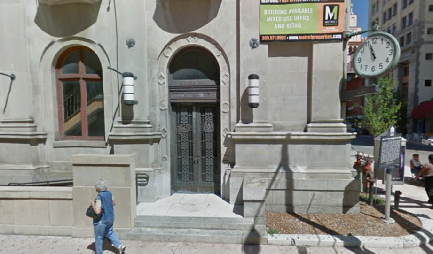 This is just three doors down (west) from the hardware store that Michael went to in the Pilot. Then we return to the hotel for a briefing. 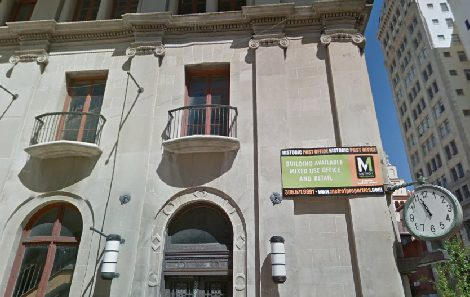 This was filmed on the second floor of the old post office, south east corner office. 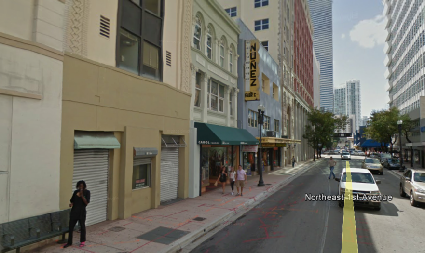 Seen in background across NE 1st Street. 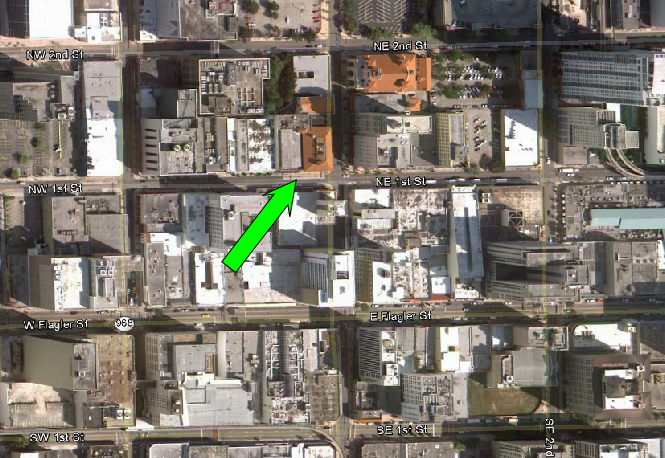 Then Fiona and Sam talk to Michael as they leave the Hotel Quijote and head south on NE 1st Avenue after crossing NE 1st Street. Then we return to the checkpoint at Zoo Miami. Things do not go well and Kessler heads for home. 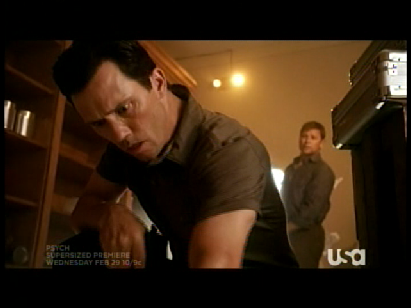 They arrive at Kessler’s where Michael makes an entrance. 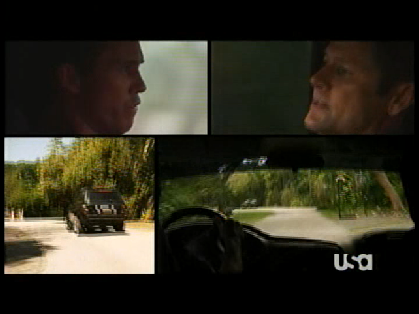 Then we cut to Fiona and Sam who are still by the check point at the Zoo Miami. Then back to Kessler’s where Michael talks about the fuses from percussion grenades but we clearly see old MK 2 “pineapple” fragmentary grenades. Then he goofs again by saying they use a high quality explosive which is a little misleading since they use black powder. 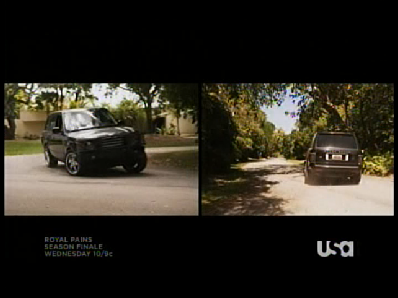 It cuts again and we see Fiona and Sam block the road at Zoo Miami. 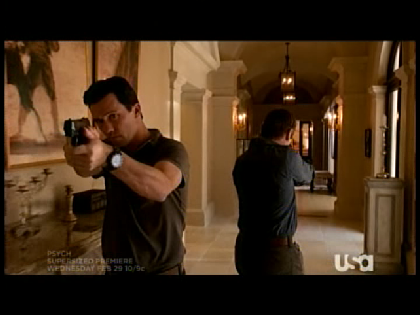 Then we cut back to the house where Michael pulls the pins and they go off immediately, no 5 second delay. Kessler has killed himself and the trip is for naught. They tie a string between an oscillating fan and a trigger. Apparently the base of the fan is magically stuck in place and does not move while the worlds strongest fan has enough power to pull the trigger allowing Max and Michael to escape. 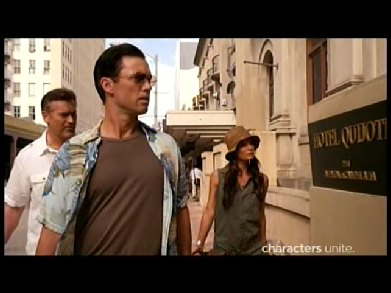 Then it’s back to Miami where we see Max meet with the gang at Carlito’s. 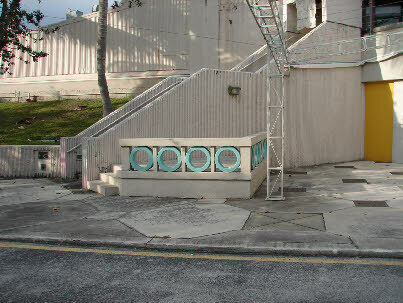 A set at the rear of the studio. 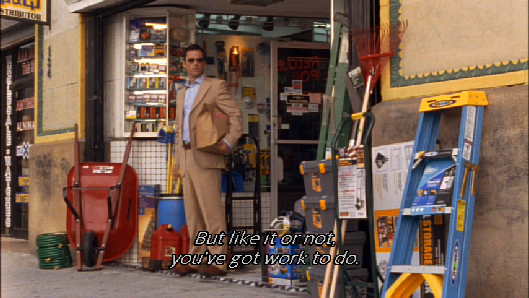 Then we see Michael inside Madeline’s garage where she finds him and they talk. Filmed on set at the studio.